The client is a U.S. national company that specializes in both financial and tax guidance and services for businesses of all sizes. Every year, the client recruits current tax professionals to become financial advisors and join their company. Since there is not very many tax professionals who are certified in financial advising, this is a lengthy process and takes a lot of work on the client’s part. Traditionally, the client conducted an annual mass mail campaign where a wide variety of tax professionals were targeted. There was no strategy to target specific tax professionals who were more likely to get their license in financial advising and join the clients business. The business challenge was creating system to segment tax professionals and try to target which ones would be the most likely to get their financial advising license. The client should have been using some sort of lead scoring system to prioritize or segment which tax professionals to target first, but instead they were using the same strategy on all types of tax professionals and not prioritizing any of them. The client’s traditional mass mailing tactic was not efficient and not only cost the client money, but potential employees as well. Using lead scoring and predictive modeling techniques, MindEcology was able to segment tax professionals and potential recruits into three tiers based on their likelihood to join the company. This allowed the client to more specifically target tax professionals who were more likely to get their financial advising license, rather than equally target all tax professionals. After the current tax professionals were segmented into tiers and the strategy of how to target each tier was determined, MindEcology created a new direct mail campaign that spoke to different tiers differently based on their scoring and prioritization. Segmenting the current tax professionals into tiers and targeting each tier differently maximized the results of the direct mail campaign and helped the client’s message and campaign to be more effective. Along with this, MindEcology added email marketing automation to the mix. 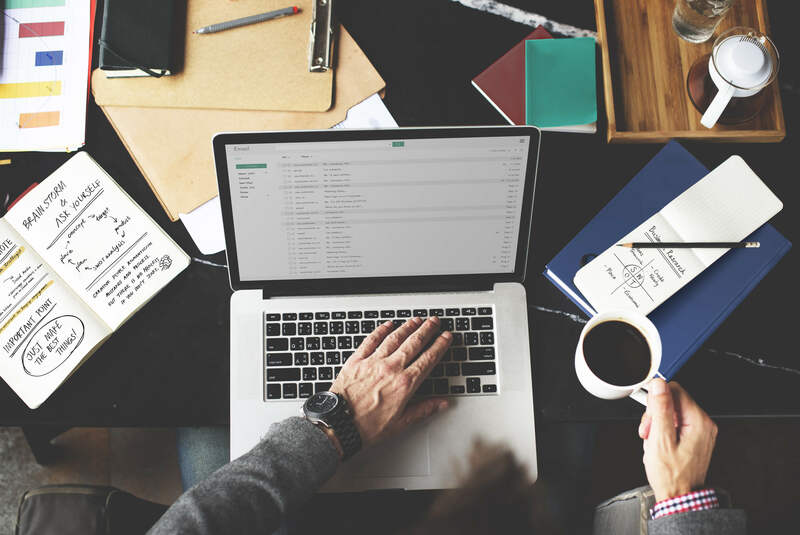 Similarly to the direct mail campaign, the email marketing automation segmented and prioritized the tiers, which allowed the clients to achieve maximum results. The email campaign was also lowered the clients cost and allowed them to market to a wider audience than the direct mail campaign allowed for. Thanks to MindEcology’s lead scoring, predictive modeling, and email marketing automation, the client doubled their enrollment numbers from the previous year. 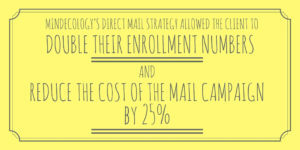 Along with this, MindEcology was able to reduce the cost of the mail campaign by 25% since the lead scoring, segmenting, and prioritizing technology allowed the client to mail less tax professionals. Because of the mass success and impressive savings that the client experienced when using MindEcology’s technology, they adopted the lead scoring and predictive modeling techniques.